We are a car-loving culture, plain and simple. Several factors seem to indicate this: the continuing growth of the local automotive industry, a marked increase in brand new cars plying our roads, and an increasing number of car clubs, just to name a few. It seems everyone loves their wheels, or wants to have something to do with them. Nothing wrong with that. Because of such a powerful affinity towards automobiles, Pinoys have also somewhat equated getting a car to success, or to having finally "arrived." And that's absolutely valid: setting a goal and getting a car that you worked hard for is no easy feat, and one that would denote success. A car could give one a sense of accomplishment, or even be an object that motivates one to aim higher. The honeypot that people shouldn't fall into when it comes to cars and success, however, is correlating the sticker price of any car with attaining a level of success. The equation "More Expensive Car = More Successful" isn't accurate because real success is not measured by the car you drive. A closer look into the intangible side of success will reveal that material wealth is worth peanuts in the grand scheme of things. 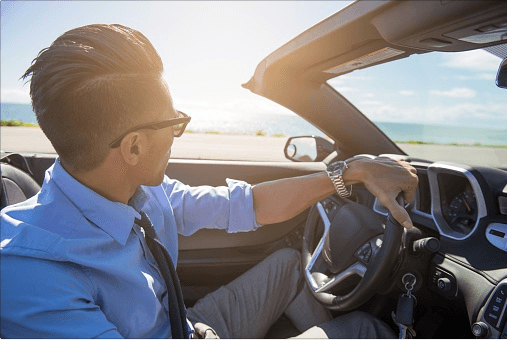 Here are pillars of success that you should always remember, even when driving your shiny new whip. Happiness. Without happiness, there can never be success. Even the richest person in the world, with a garage full of exotic cars, can't claim true success if he isn't happy. Without discovering genuine, internal happiness within one's self, how can you even begin to enjoy a car or driving it? Health. Like the argument made for happiness, success can't be fully celebrated without one's health. To illustrate: someone might own the most expensive car in the world, but health limitations might not allow him to enjoy it to the fullest. Family. We all have families, whether biological or not. These people continuously support, influence, and shape who we are; there's no way anyone can claim genuine success without them around. When it comes to cars, this is for sure: they'll give you great advice on getting the right one for you—the one that fits your needs and is comfortably attainable within your means. Faith. We always need to remember that our existence transcends what our senses percieve in the here and now. All the material things (cars included) will all turn to dust one day, so living a successful life is living with the faith that there is more to this life than we know. Driving the point home, it's pretty safe to say that whatever god you believe in doesn't care about the car you drive. Life’s about celebrating all triumphs, both big and small. Surely, coming home to a set of wheels that you bought with your own is a feat worthy of being called a "success." But it's always prudent to remember that material things will come and go, and it's what you value in life that truly defines your success in life. For moments when you attain clarity and take a step closer toward genuine success, raise a glass of Emperador brandy. Give yourself a toast—you deserve it. Celebrate life’s successes with the world’s most celebrated brandy. Follow Emperador Brandy on Facebook and Instagram today! This article is created by Summit Storylabs in partnership with Emperador Brandy.